She has been called one of “America’s Ultimate Experts” by Women’s World magazine and has appeared on over 600 radio stations and 80 television shows including ABC’s 20/20 and the Today show. 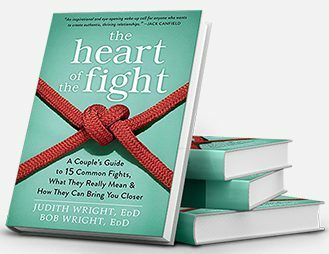 Dr. Bob Wright is an internationally recognized author, speaker & visionary known for his witticisms. He co-founded The Wright Foundation to teach people to develop their vision and unlock their full potential. Barbara is a corporate consultant, coach, and trainer specializing in social and emotional intelligence and employee empowerment. Dr. Zwell is a leading expert in competencies, developmental corporate cultures, leadership development, and executive coaching. Dr. Medlock is the Director of the Career Coaching program and a Senior Coach at Wright. Jillian is the Program Director, Director of Coaching and a Senior Coach at Wright. Beryl serves as a group facilitator on many of Wright’s Foundation weekend trainings. Dr. Philip Blue is a coach the at Wright Foundation and Professor of Applied Neuroscience at Wright Graduate University. Kate serves as Campus Director for the Wright Graduate University and provides support to the Wright Foundation’s non-credit programs as a coach and curriculum developer. George Miller is an activator who coaches emerging leaders in a variety of professions and communities. As a doctoral student she dedicated her research to better understanding, codifying, and advancing Wright’s unique advanced coaching methodology. Monica Staco helps clients drive organizational strategy, maximize executive and cross-functional team performance, and drive leadership development. Lisa's studies focused on creating programs that help teachers to develop their social-emotional intelligence. Lori Zwell helps executives, entrepreneurs, and high potentials advance their social, emotional and leadership skills. Rachael Marusarz is a fundraising executive with 15 years of experience working in Chicago's nonprofit sector.